MINIMALIST: This design uses a minimalist approach to maximize livable floor space and the square footage of the entire footprint of the home, while using the least amount of materials, thereby reducing the total cost to build. SIMPLICITY: The design is so simple it uses just two standard 40’ ISO shipping containers spaced 16 feet apart to form a grand entrance and living room/dining room space which is 640 square feet, with 12 foot vaulted ceilings. The two containers off to each side form the outer walls, and contain the bedrooms and bathroom.It’s not shown, but you could take and cut out half of the inside wall of one of the containers and form a very big kitchen, which opens into the the dining room/living room common area, basically giving the whole place a very big “feel” inside. The addition of the large glass wall in the back is simply to give it a more open feel. UPGRADABLE: Notice how much more room there is inside. Really this is the whole idea. 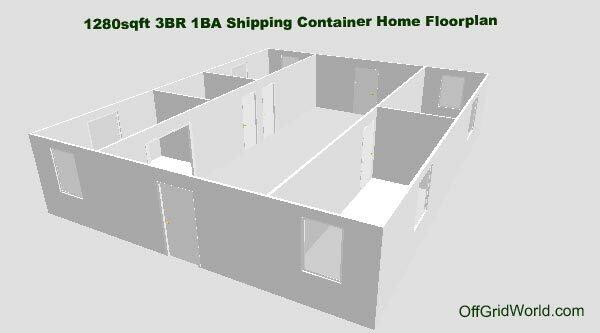 Technically, we could add another 8 feet to the width and increase the common area floor space by 33% to 960 square feet, and that would only increase costs by about $3000-$5000 more in materials. The rear of the house doesn’t have to be a glass wall, but it just looks nice, and will give the interior space a large feel opening onto the back patio. 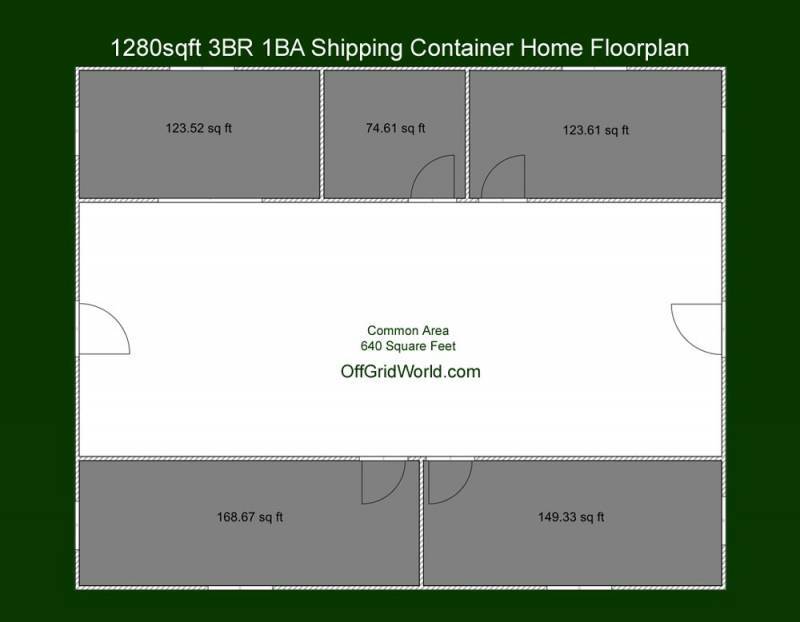 I’m not sure you could get much more space for the money using only two 40’ shipping containers. MORE FOR YOUR MONEY: 1280 square feet is a good size to start out, and even if you were to splurge a little with more expensive materials you could add another $10k in amenities and still have one very affordable, and very nice home. 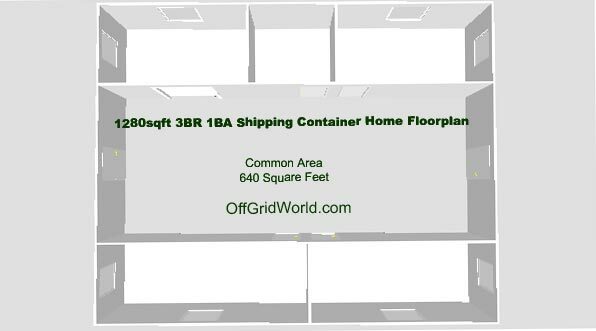 Spread the containers apart just 8 more feet and you increase the square footage to 1600 sqft. This is a 1280-1600sqft home for less than the price of a NEW CAR! Do you have plans for these?